For $6 per page, we deliver our highest level of interior page design. Our designers utilize the extent of their experience to craft a professionally detailed book interior, full of rich design and detail. 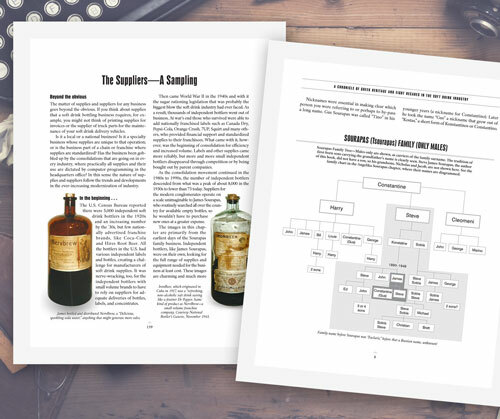 Level 3 covers every specialized detail that your book contains, perfect for books with complex layouts and labor-intensive formatting. These are the coffee-table books! In addition to the following features, Level 3 Page Design includes all Level 1 features and Level 2 features. Level 3 images receive our highest level of optimization to give each image the highest level of impact. Treatments include: cropping in unique ways, cutting around artifacts, adding drop shadows and using advanced colorizing techniques to enhance and preserve your treasured family photos. Check out our service rates for complete pricing for photo placement. Books with many quotations, bible verses or literary passages require more time to format. Space must be allowed before, after and around these inset areas to set the quotation apart from the main body text. 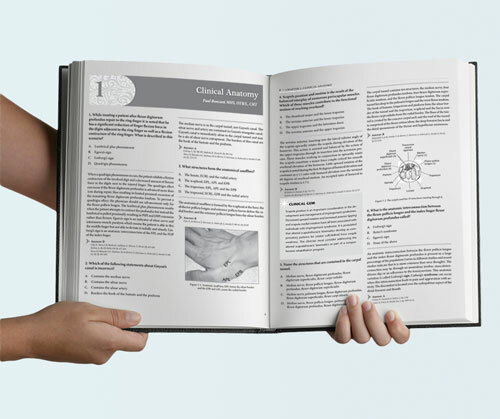 Complex books often have sections that require unique design treatments. Sidebars with background textures, overlaid images or special formatting all must fit within the grid system. 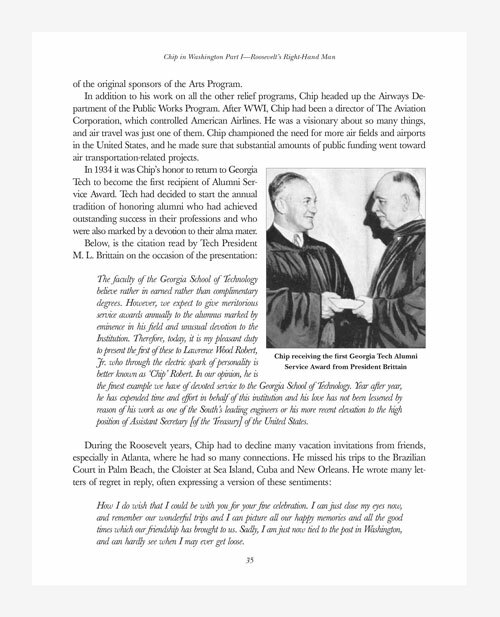 Pullquotes are often used to highlight specific passages or quotes within the text. These features must be fit tightly together like pieces of a complicated puzzle. Level 3 books are commonly larger formats. They often follow a grid system, utilizing multiple columns, which help delineate content but make pages more complex. This often requires multiple image sizes to create a cohesive whole within the grid structure. Wide margins, running headers and additional spacing at the bottom of the pages will make your book easier to hold and navigate. We use book-industry standards to ensure that your book belongs on the top shelf with books from the "big name" publishing houses. Sometimes you have a lot to say and not enough room to say it. There's where footnotes come in. Footnotes require very specific design treatments to account for bottom margins, indentation and superscript numerals within the text. Lists are important tools for condensing information, but improperly formatted lists often get lost in the text, having the reverse effect. Bulleted numbers and lists require careful spacing and attention to ensure consistency from list to list. All pages that appear before the start of your first chapter are considered front matter. Some books require complex front matter formatting with features like: preface, foreword, acknowledgements, introduction or prologue. 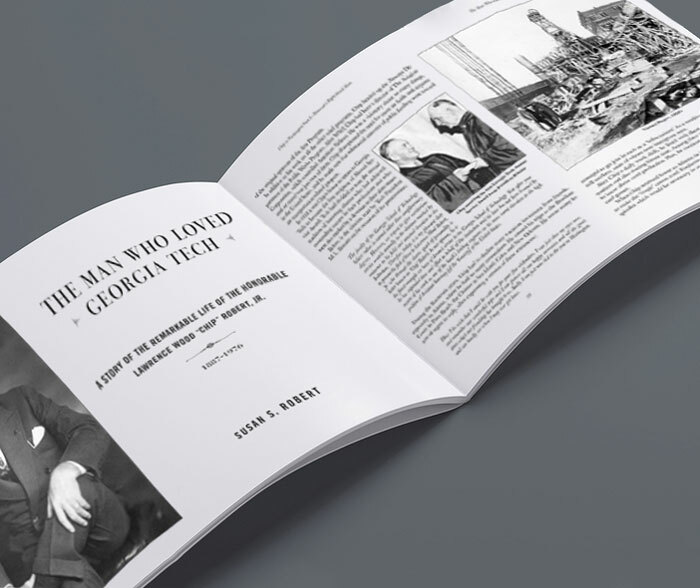 Well designed front matter can help elevate a book's credentials and expand upon the main content. Back matter refers to all pages that appear after the last chapter or conclusion of a book. Common sections include: endotes, sources, bibliography, appendices and chapter notes. Each feature follows its own particular design rules, often requiring special characters like superscript or subscript. Running headers show the title of the book on the left page (verso) and the title of the	chapter on the right pages (recto). They change with each new chapter and each new front or back matter section. This is different than basic headers, which stay the	same throughout the book. 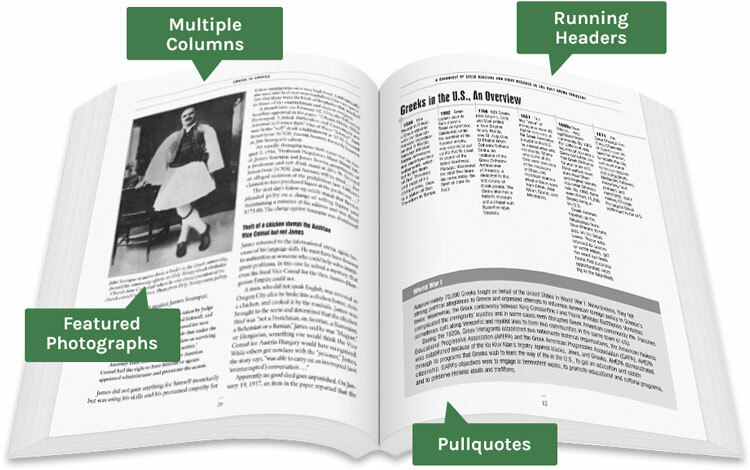 Indexes are helpful tools that allow your readers to quickly navigate to specific topics in your book. If you have prepared an index, our designers will handle the editing and all the little details necessary for a polished, easy-to-read index. Review our indexing tips to learn how to plan and format your index.